3 posts categorized "For Fun"
"There’s nothing that can’t be cured with a good ole’ fashion audit. Problem is…I’ve gotten lost in the forest of life and for some reason didn’t think to put my personal life on the audit universe. Well…not today my friend. I decided to sit down and figure out which areas in my household are in dire need of an audit. I’ve come up with a list and I’ll be issuing an RFP for the work since I am obviously not independent and objective on the matter. If you have expertise on the topics below and would like to be considered for the work, please feel free to put your name in the hat. 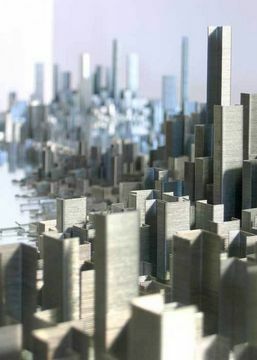 Without further ado…my 2010 household audit plan (subject to Board review and approval): ..."
"When an accountant (or in this case, an artist) has too much free time (typically during training) and copious amounts of office supplies, this can happen...Artist Peter Root has created a detailed cityscape over a mirror using staples..."
Looking for some visuals to use during tax time? Check out these "Taxing Moments" Dingbats created by Jeff Levine. You will need to scroll down the page a bit to get to the zip file. Just click on the image when you see it.